Home » Theme Studies » Forgiveness » He Is Risen! He Is Risen Indeed! An empty burial cloth. An empty tomb. Had they taken Jesus away and left them with empty lives? But then He appeared. He spoke with Mary Magdalene outside that empty tomb (John 20:1-18); He had Thomas touch His wounds (John 20:19-31); He ate breakfast with His disciples on the beach of Lake Tiberius (John 21:1-1 ). Just as He had promised, He had risen from the dead. He was alive! And they rejoiced. Let us rejoice as well. Jesus is alive and with us as well. He is risen! He is risen indeed! ← Good Friday Goodness: What’s GOOD About Good Friday? 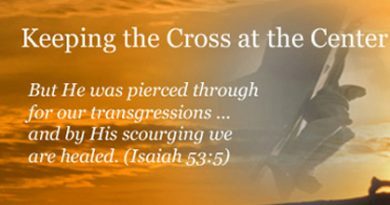 What Happened on the Cross? Suffering AND Joy.